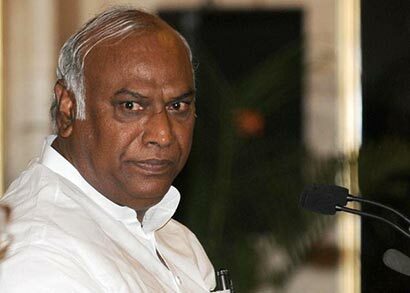 The Hindu newspaper quoted the Indian Union Minister for Labour and Employment M. Mallikarjun Kharge of having said that Buddhism was the one religion whose foundation was laid firmly on the philosophy of equality, casteless society and the principle of non-violence. Speaking after inaugurating the 2,556th Visaka Buddha Poornima celebrations at the Buddha Vihar on the outskirts of Gulbarga in the state of Karnataka May 6 Sunday, Mr. Kharge said Buddhism was the only religion that could help establish society in which everyone had equal rights. He said Buddha Poornima was an important day in the Buddhist calendar the world over. Mr Kharge said Buddhist philosophy would be relevant always and whenever the world faced a crisis or faced the threat from terrorism and violence, everybody spoke of Buddhist philosophy of non violence and tolerance. “Buddhism would be evergreen and relevant always”. The Sinhalese chronicles, Mahavamsa and Dipavamsa, mention Mangaliputtatissa, a contemporary of Asoka and reputed to be the emperor’s teacher and mentor in connection with Karnataka. He had sent missionaries to Mahshaka (southern region of Karnataka) under Mahadeva, and to Banavasi (the heart of Karnataka) under Rakkhita, to preach the gospel. That would firmly indicate Buddhist prevalence in Karnataka. Mr. Kharge felicitated Jnanpith Award winner and writer Chandrashekar Kambar on the occasion. Dr. Kambar delivered a special lecture on Buddha and the relevance of Buddhism. Earlier, Mr Kharge accompanied by his wife Radhabai, his son Rahul, Dr. Kambar, MLA Sharanprakash Patil, Gulbarga ZP president Deepaknag Punnshetty, Mayor Somasekhar Melinamani offered floral tributes to the idol of Lord Buddha. Thousands headed to the Buddha Vihar to pay obeisance to the Buddha. A team of Buddhist monks, including Toyotona Banteji from Thailand, Sumadeva Banteji, Anuba Darshi and others paid obeisance to the Buddha and participated in the main function. I think you are right…that is why i love my mother land srilanka,srilanka is the only country where you can live with our buddhist sisters and brothers together peacefully without the bloody tamil terrorists…..